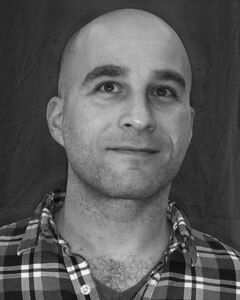 Benjamin Gantcher's poetry has appeared in several publications, including Guernica, Cousin Corinne's Reminder, Tin House, Slate, The Brooklyn Rail and The Saint Ann's Review, and is forthcoming in Spinning Jenny. His first book, If a Lettuce, was a finalist in the National Poetry Series and Bright Hill Press contests. He was nominated for a Pushcart Prize, a resident at Ucross and Art/Omi's Ledig House, a correspondent for the Hyde Park Review of Books and a poetry editor of the online journal failbetter.